(1605-1676) French landscape painter. He was a pupil of Vouet but worked in the manner of Claude, with whose paintings his own have sometimes been confused. In his day he was well known for his panels set into the decoration of rooms, notably in the Cabinet de l'Amour of the HТtel Lambert in Paris. His son, Pierre-Antoine (1648-1708), painted in his father's manner. 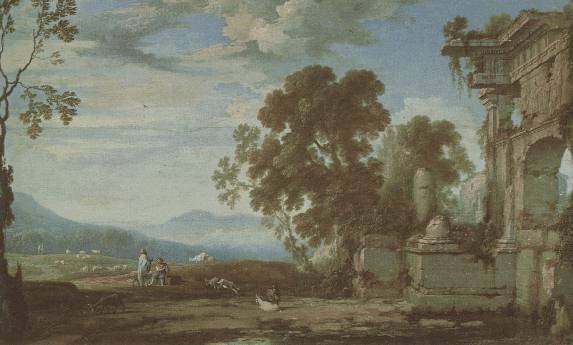 Both men often featured Classical ruins in their paintings, looking forward to the picturesque.